Hollywood just loves to demonize everyone who inherently believes that abortion should be outright illegal. Somehow they’re able to portray pro-life advocates as irate despicable monsters when all we want is to give every child that was conceived a chance in this world. But the way this new Lifetime show – which you can also find on Hulu and Amazon Prime – justifies an abortion from one of its characters is unbelievably sickening. 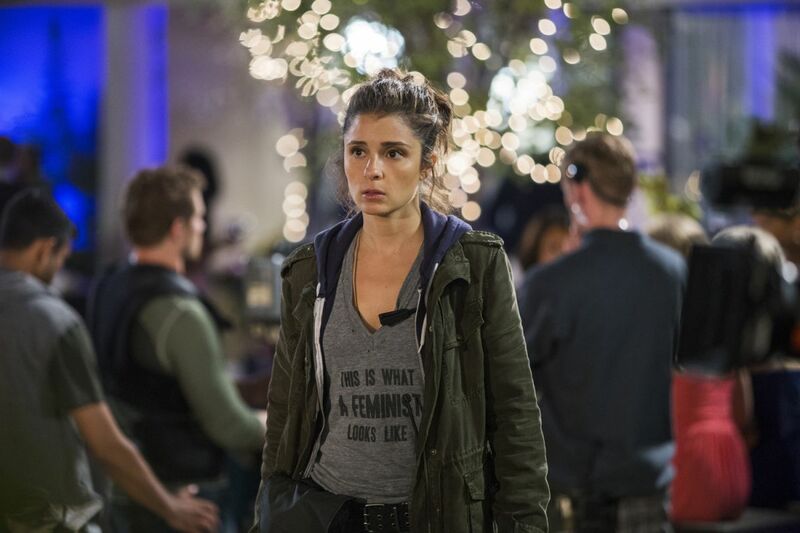 UnREAL has been one of Lifetime’s biggest shows since 2015. The show is about the behind-the-scenes look at an unscripted reality show in the vain of The Bachelor or The Bachelorette where a young television producer is forced to swallow her integrity and do whatever it takes to sensationalize the show for better ratings. And in a recent episode of UnREAL entitled “Sudden Death” one of the lead characters tries to justify her unwanted pregnancy. Take a step back and think how unbelievably tone-deaf and selfish that comment is. It’s a remarkable comment and it needs to be unpacked. First of all, she said this comment with a sort of grin on her face as if to say “the future seems bright for me after all,” which is about as cold hearted as you could get considering the child in her womb is no longer alive. Secondly, who in the world responds, “It doesn’t matter,” to a question like that? For the record, it was revealed earlier in the episode that the baby only had a five-percent chance of making it full term. But what kind of apathetic person would say that it doesn’t matter? What she really means to say is that it doesn’t matter to her but it absolutely matters to the innocent child inside of her. Lastly, just because you weren’t “meant to be a mother,” is not an excuse. It’s pathetic. Many women get pregnant and embrace motherhood even though they didn’t think it was in their immediate future to do so. When King first goes to her OB-GYN appointment, because she’s a single career-driven woman, she perceives when learning that she’s pregnant as it being the end of the world. That’s a typical Hollywood cliché that the industry uses when a self-motivated feminist discovers that she is carrying a child it’s like being sentenced to prison. And that’s because Hollywood is godless in that way. The one saving grace of the episode is a character named Chet and contestant on the show, played by Craig Bierko, and he’s overjoyed that she’s pregnant, even insisting on helping raise the child even though he’s not the biological father. That might be the only redeeming quality of the episode because the proverbial saying that “it takes a village to raise a child” is metaphorical embodiment of his character. King then takes a leave of absence due to stress levels and then is finally hit with the opportunity to abort the child when the doctor said there’s only a small chance the baby would make it. In the final scene it’s presumed/implied that King terminated her pregnancy because she just didn’t want to deal with the low percentage chance that the child would make it to term. Also, King is immature. These are future businessmen/women, politicians, doctors and scientists with the right acceptance of responsibility to raise the child properly. Any other views on the matter are just wrong.